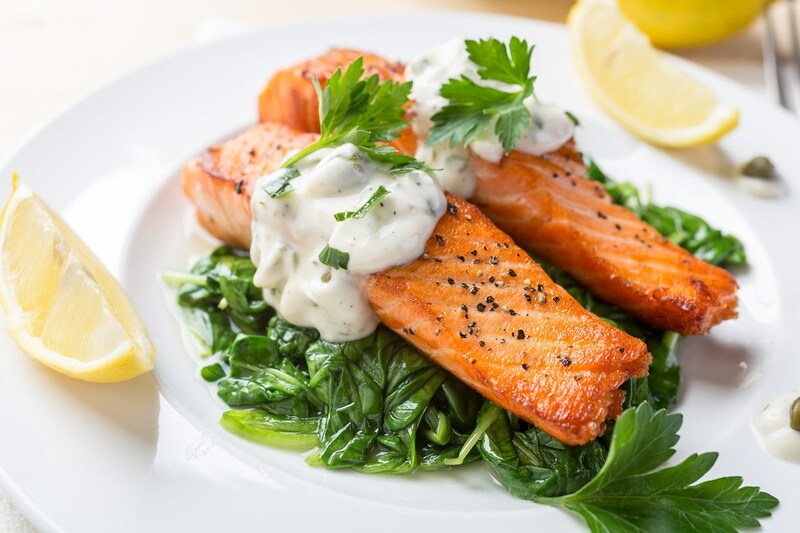 Also referred to as Ketogenic, low carb high fat (LCHF), or low-carb diet, a Keto diet is touted as a great option for people suffering from epilepsy, but also effective for weight loss and diabetes. As with any diet, there is a ton of information out there when it comes down to what to eat, when to eat and how to eat. It can become challenging for someone looking to coordinate this diet into their lifestyles, to do so without a lot of confusion and frustration. Today, we make it a little easier for you with these thirty-three essential foods for a Keto diet. They will serve as a base for your meal ideas and can be eaten with other Keto friendly foods. Everyone is always looking for a diet that works fast while being convenient and easy. We know you are sick of diets that preach results overnight and have a million people with great reviews of how much a certain diet helped them stay in shape. However, almost any diet can work! It all comes down to application and patience. When you consume a low amount of carbs or none at all, your body’s glucose level drops. This means that there is no need for your body to produce insulin anymore, making it easier for fat cells to be released. This is when your body enters a state called Ketosis. It is a natural state for the body that helps us to survive. When your body enters a state of Ketosis, it produces Ketones which the body uses for energy, and this is where a Keto diet comes into play. If you are ready to change your lifestyle and build a better you for the future, these are some of the essential foods you should be eating on a Keto diet to achieve your goals. Protein is an important part of a Keto diet but it must be noted that these foods must be eaten in moderation. Having an overage of protein can result in more protein than fat, which can cause the body to break down for more energy, and this decreases or completely stops ketosis. Consume leaner cuts of meat as much as possible and complement it with a fatty side dish or sauce. Fish – salmon, mackerel, trout, tuna, etc. Shellfish – shrimp, lobster, oysters, clam, etc. Beef – stick to fattier cuts like steak, veal, ground beef, etc. Pork – tenderloin, pork loin, bacon, ham, etc. Egg – scrambled, fried, boiled and deviled, etc. Lamb – stewed, roast, etc. Goat – curried, stewed, etc. Be on the lookout for meats that are processed or contain added ingredients such as sugar. Tip: These foods are very accessible and affordable all throughout the year. Scout your grocery store or farm to table market for fresh meat options. Healthy fats are the most important components of a successful Keto diet, and are essential for your body to remain in a state of ketosis (which is the breaking down of fat instead of carbs and protein for energy. This means you have to eat a ton of fat to compensate, around 70% of your calories. The good thing about a Keto diet is that you can eat foods that are nutritious and super delicious at the same time. Tip: Fats and oils are great for all-around health. They work great for a Keto diet but also does wonders for your external features if used on your skin and hair. Oils such as Coconut, Avocado, and butter like Cocoa and Coconut can be a bit more expensive than your average processed Vegetable or Canola oil or Margarine, but the health benefits will far outweigh the cost. Non-starchy vegetables are low in calories, but super high in nutrients including several minerals and vitamin C.
Fiber is one of the main components in vegetables and this is not absorbed well by the body. Therefore, you will have to look at their digestible carb count, which is total carbs minus fiber. Tip: You can always find low-carb vegetables available almost all year round. Plus, these vegetables are super-cheap at your local grocer or farm store. To know when these vegetables are in season and at their best, read here. Many fruits are too high in carbs to include in a Keto diet, but Berries are an exception. They are high in fiber and low in carbs. Actually, blueberries and raspberries contain as much fiber as digestible carbs. Berries are packed with antioxidants which are great for curing inflammation and increasing immunity. Tip: Most Berries are in season during the summer. However, they can be sourced right throughout the year at your local grocer or farm store (just to let you know, they might not be as sweet). To know when these fruits are in season and at their best, read here. A Keto diet is affordable, easy to apply and includes foods that you already eat on a daily basis. The key is to increase your intake of these essential foods gradually while applying other weight loss and healthy living techniques such as exercise and restful sleep. Most of these foods are available year round and can even be used to make one-pot stews to serve for multiple days if you have a hectic schedule. Happy dieting and cheers to a future you that is healthier, happier and stronger!